Bulk pack of 1000 x GL18 black none tamper evident dropper caps with 0.7mm dropper hole. Suitable for normal viscosity oils. 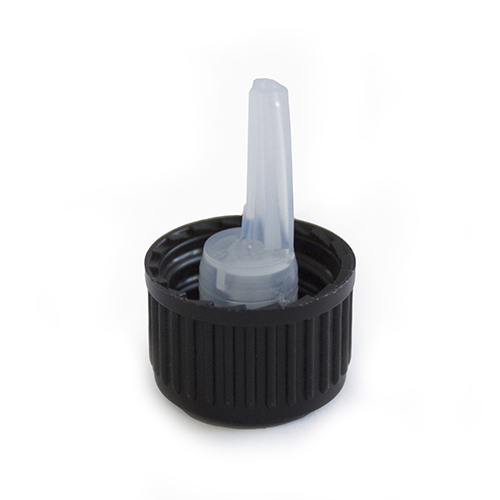 The cap is supplied with an integral dropper which stays inside the bottle neck after the cap is screwed on for the first time.